We all know that cosmetic treatments are a luxury; after all, no one will die from not having Botox or laser hair removal. Therefore the service and experience is very important. At A E Skin patient satisfaction is a top priority and we focus on providing outstanding results for every patient with every treatment. This is part of the reason why you will see Dr. Alex every time. He has done thousands of cosmetic treatments such as Botox, Juvederm, and Forever Young BBL IPL photofacial treatments; and only does cosmetic treatments. You will not see a nurse or even a different type of doctor like a gynecologist who does cosmetic treatments on the side. Our patients are comfortable and satisfied because they know that Dr. Alex focuses exclusively on cosmetic treatments and the results are as important to him as his patients. Take a look at our before and after galleries for Botox, Juvederm, Juvederm Voluma, laser treatments, Ultherapy, Freeze the Fat, and skin care. Our patients do not need to worry about ineffective treatments. For example, patients who get Botox treatments with recommended doses and are not satisfied with the results receive free touch ups. At A E Skin we feel that patients deserve the results they pay for and expect. Comfort is also important to our patients and we understand that, which is why Dr. Alex uses a painless Botox technique, applies numbing cream for all laser treatments (without additional charges), and uses chemical peels that contain numbing ingredients. See what others are saying on Yelp, Google Plus, and Citysearch. If you love social media, you can like us on Facebook and follow us on Twitter. We even offer zero percent financing for one year for those with good credit. 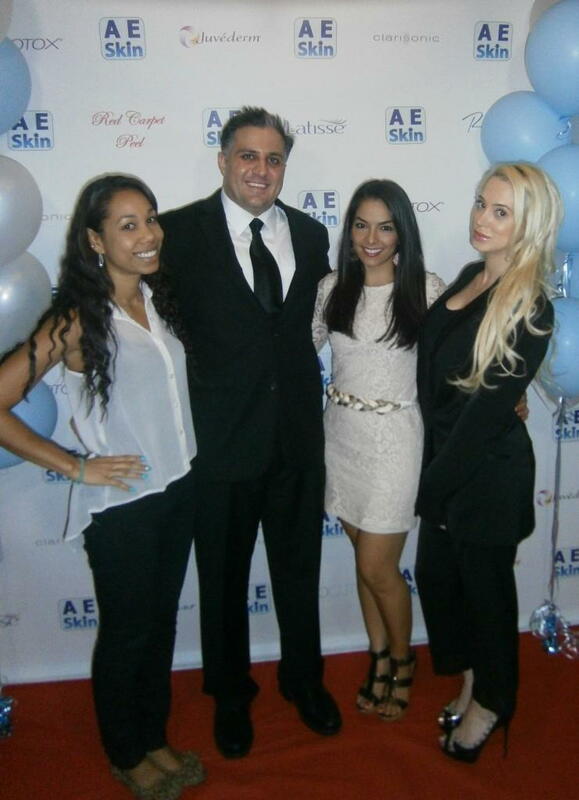 These are some of the reasons why A E Skin won Best Medical Spa in Encino in 2013. Contact us (818-835-1833) for a free consultation with Dr. Alex to start your journey to a new, younger looking you.